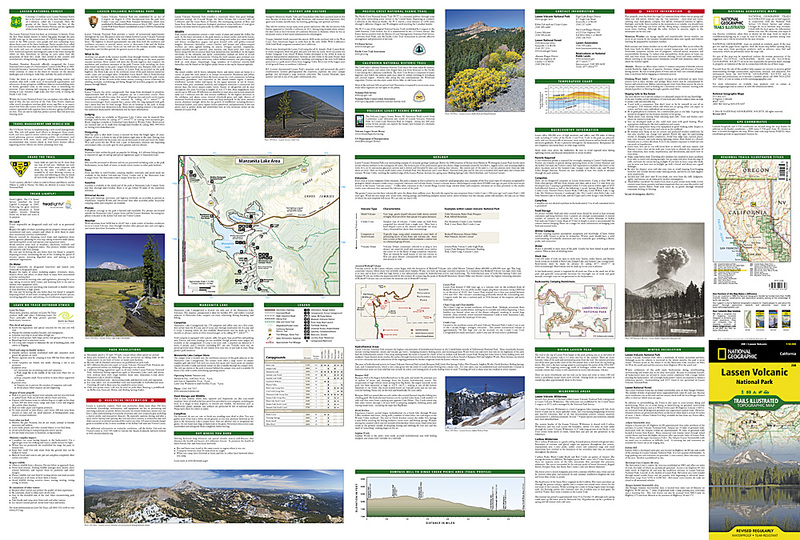 Lassen Volcanic National Park Map [TI268] - $10.95 : Trail Explorers Outpost, Keeping the Adventure Alive! Lassen Volcanic National Park in northern California is one of the few places in the world where one can see all four types of volcano. National Geographic’s Trails Illustrated map of this unusual park offers outdoors enthusiasts a valuable tool for exploring the park’s fumaroles, hot springs, mud pots, mountain lakes, and forests. Expertly researched and created in partnership with local land management agencies, this map features trail networks in Lassen Volcanic National Park and the adjacent national forests along with key points of interest including Lassen Peak; the Lassen Volcanic and Caribou wilderness areas; Cinder Cone; Juniper, Snag, and Butte lakes; and the Volcanic Legacy Scenic Byway. 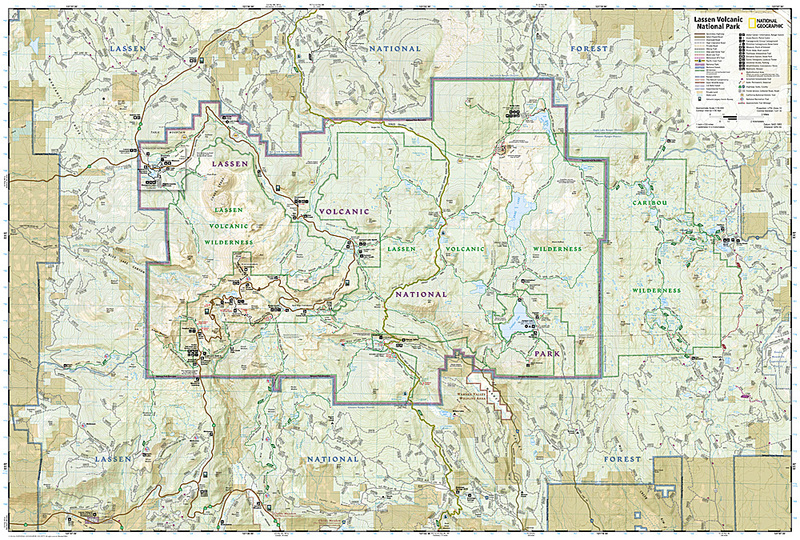 The print version of the map includes a detailed inset of the Manzanita Lake area. Over 150 miles of trails including 17 miles of the Pacific Crest Trail and a portion of the California National Historic Trail are clearly marked and include approximate mileage between intersections and trail use designations. A chart of campgrounds, their elevations, the number of sites, and the facilities available at each will help you choose the one that’s right for you. Interpretive information regarding the area's unique geology and descriptions of the important hydrothermal areas are also included. The map base shows contour lines and elevations for summits, passes and many lakes. A variety of recreation features are noted as well, including campgrounds, trailheads, picnic areas, boat launches, cabins, and scenic viewpoints. All proceeds from the purchase of a National Geographic map help support the Society’s vital exploration, conservation, scientific research, and education programs. Other features found on this map include: Caribou Wilderness, Lassen National Forest, Lassen Peak, Lassen Volcanic National Park.